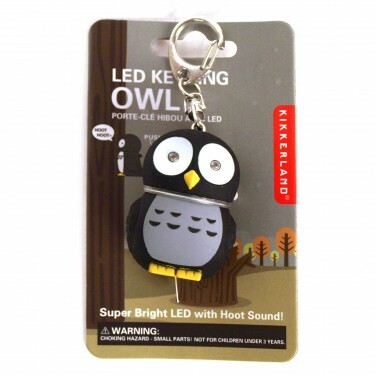 Clip this adorable owl LED keyring onto your child's school bag and see the eyes light up with superbright LEDs! 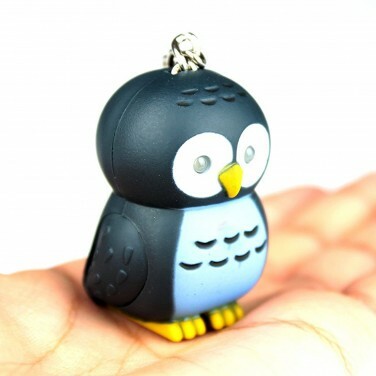 Your little one may be too young for keys of their own, but they're never too young for this adorable Owl LED Keyring! Use the secure clip to attach to school bags or zips and see this cute character's eyes light up with superbright blue LEDs to guide their way in the dark. With light up eyes and hooting sounds, this little owl is sure to be a big hit on darkened nights! 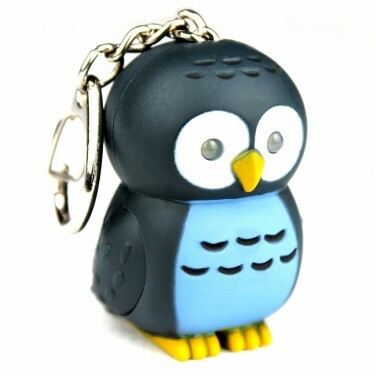 A super sweet nerdy addition to your keys, the Nerd Bird keyring torch shines light where you need it most. Batman bad girl Harley Quinn lights your way with LED feet guiding you in the dark.